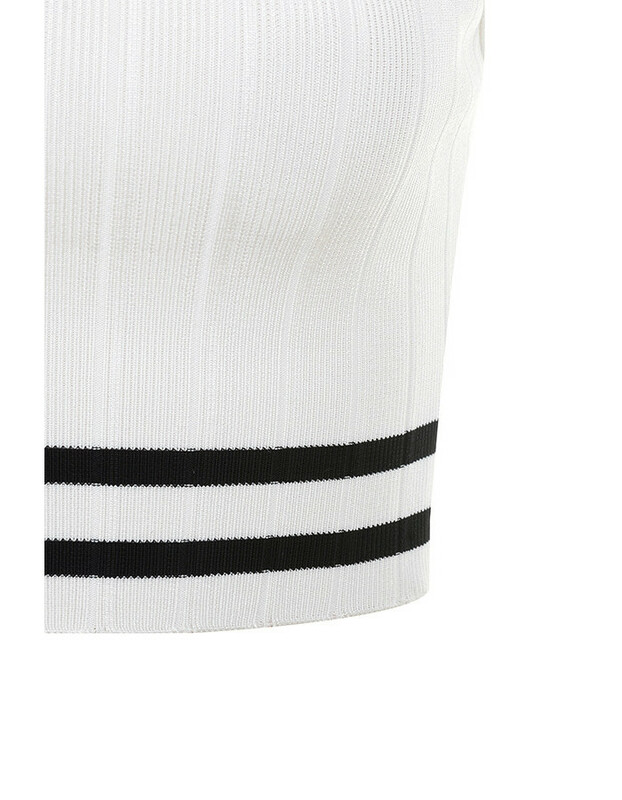 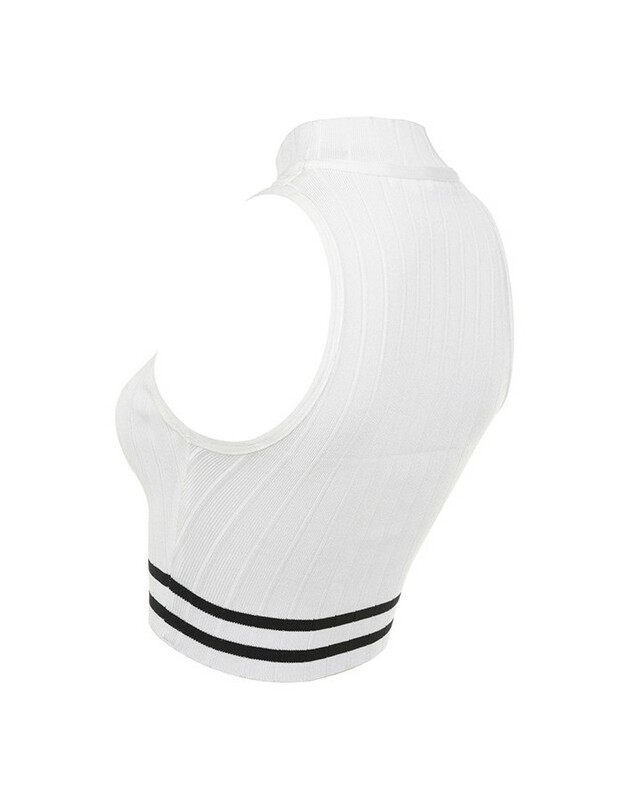 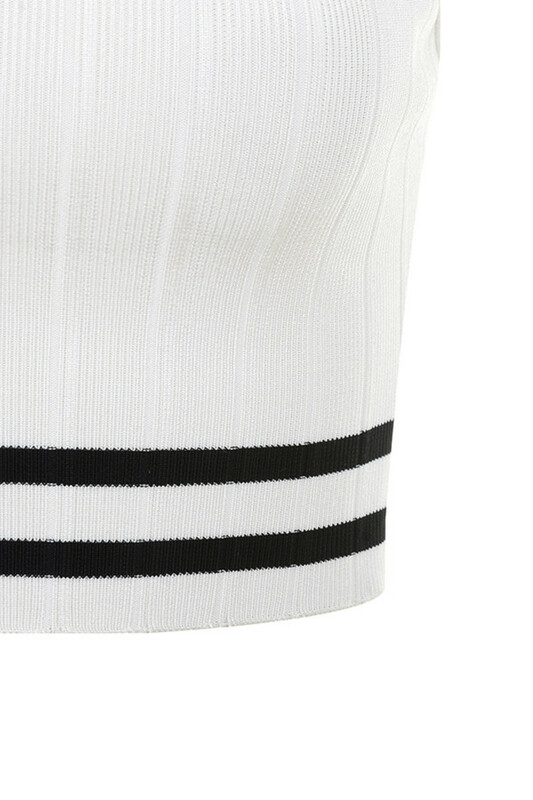 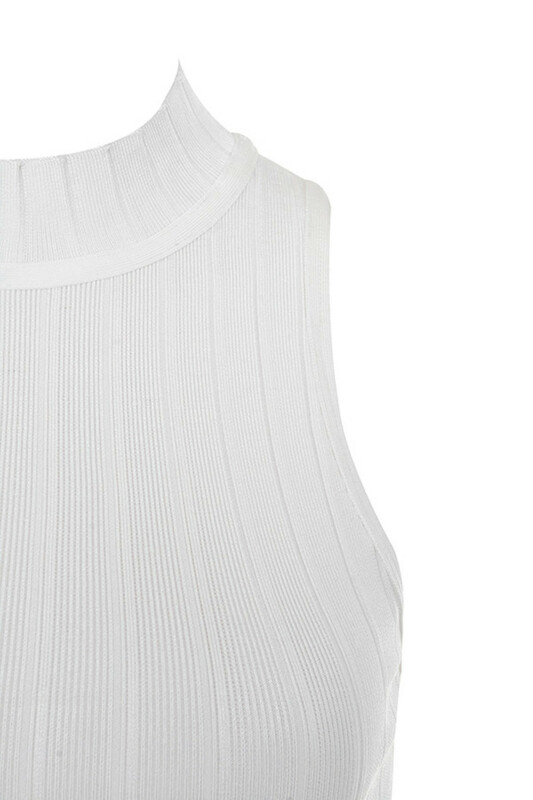 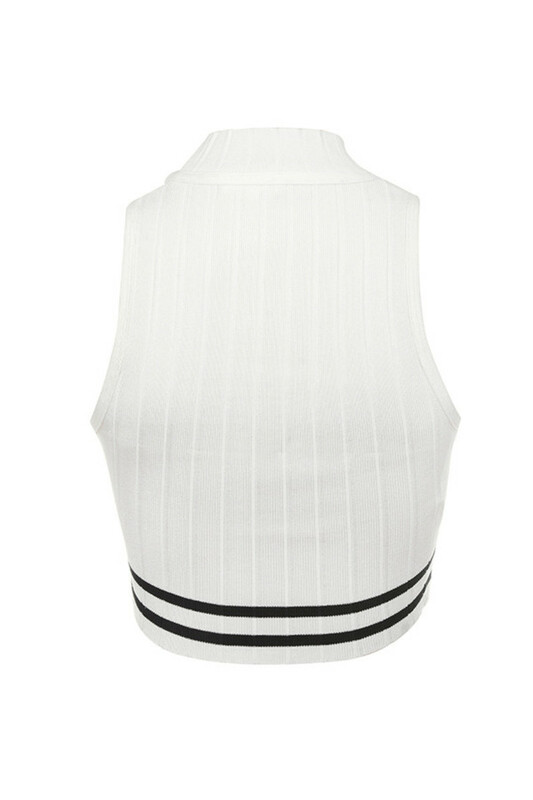 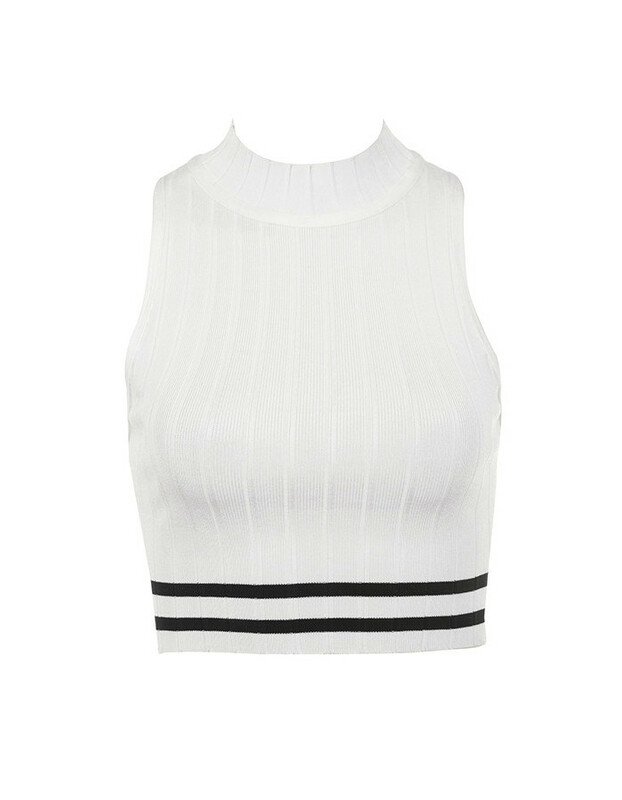 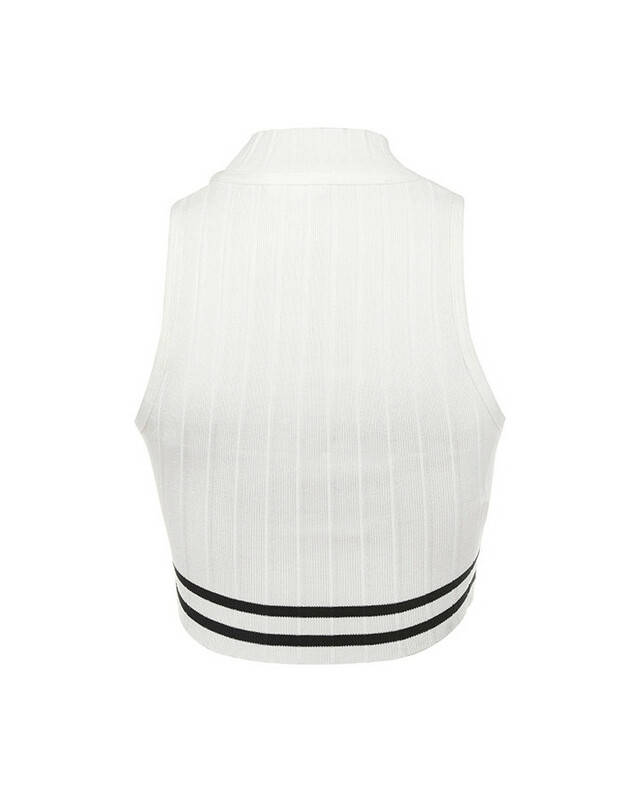 This sleeveless crop top is super versatile and gives sports luxe vibes thanks to its stripes styling. 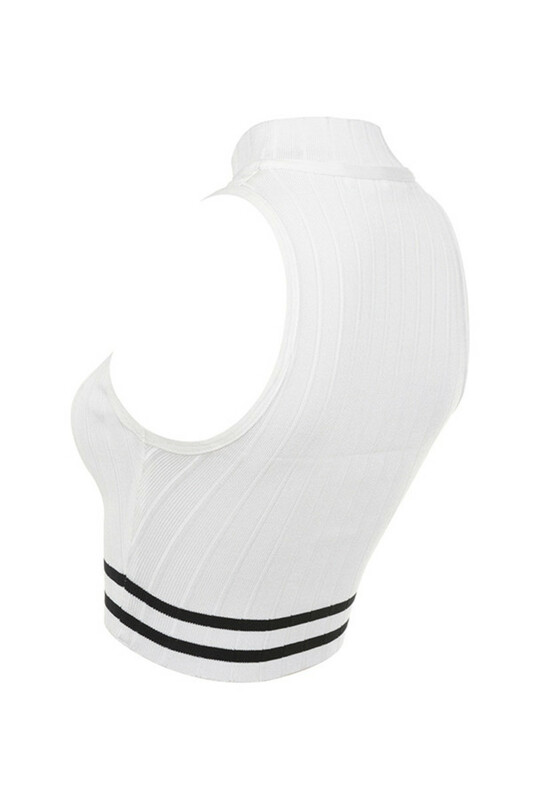 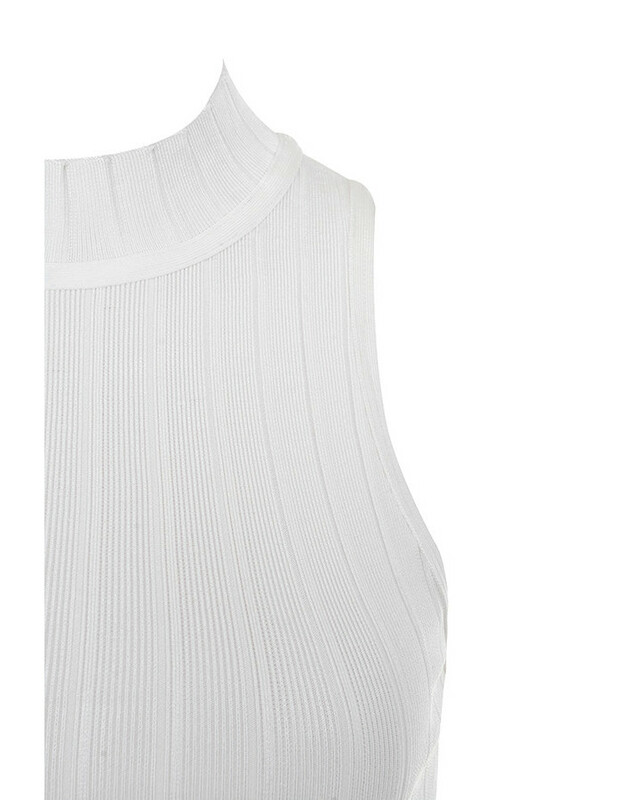 Made from ribbed bandage fabric, 'Joyful' has a sleeveless cut and bodycon fit. 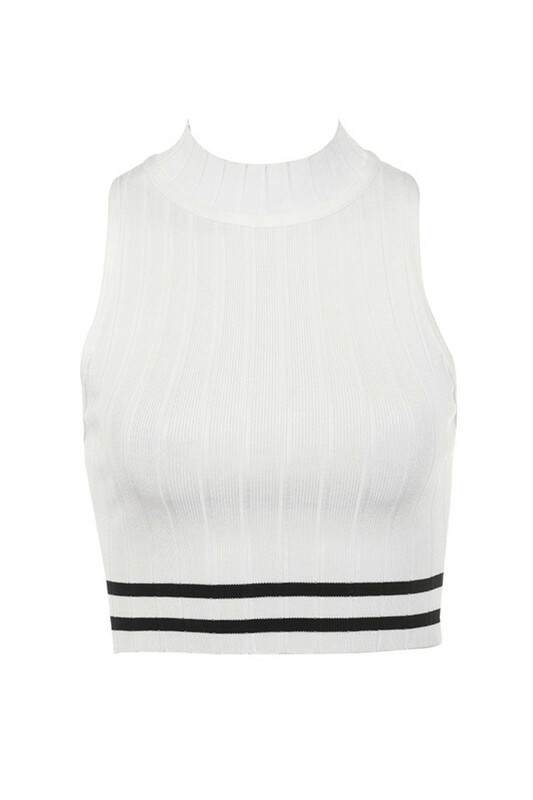 Wear yours with joggers and heeled ankle boots.